Okay guys I have another Yay or Nay? for you! 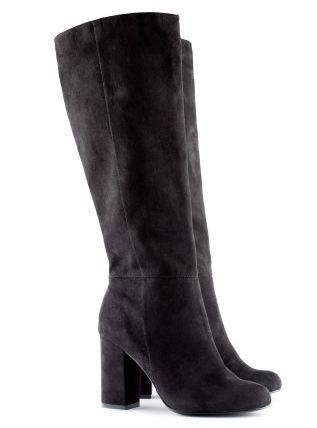 What do you think of these imitation suede boots from H&M. They are not my usual style but I kinda like them. I think they would look cute in Winter with a smart coat. What do you guys think? I have a real suede brown pair that are very similar. I have had them for about 3 years and wear them ALL the time! They are great for winter and the layering looks and they work really well for retro 70s looks. I often wear mine with tights and a dress or skirt. So my answer is YAY! I have lots of perfect pairs, just not enough feet! I don’t think you can put a foot wrong in these so, yay!